It is that lazy weekend view time again. 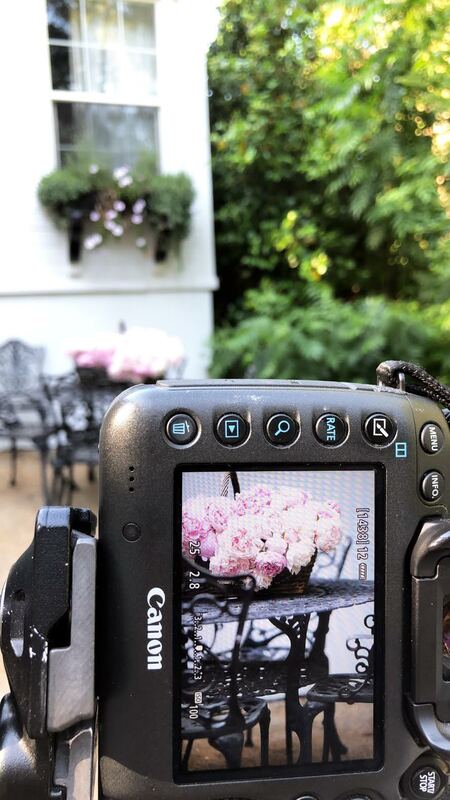 This week it is all about peonies, twinkle lights, sneak peeks and a little surprise in a tree. It has been a crazy week over here and I have a confession.. I am a little on the pooped side this weekend. Between traveling to Nevada to load up my daughters apartment and helping her move and the allergies that have kicked up again- I haven't been sleeping like I should and usually by the weekend - that starts to kick in to where I forget the alarm and sleep in a bit longer for a day or two. Which is great until around Sunday or Monday. You know what happens...then I am WIDE AWAKE until 1 am. Because I slept too long on Saturday and Sunday and am feeling a bit supercharged to stay up late. So basically, here is what I have learned. I can't sleep in too often or I am awake too late. And basically, I have become like a baby and can offset my sleeping schedule just by snoozing a bit more. And getting up at 5:30 is great for getting a head start of the day- and then I am tired by Friday and falling asleep in the middle of Dateline. I am just going with it at this point. haha. 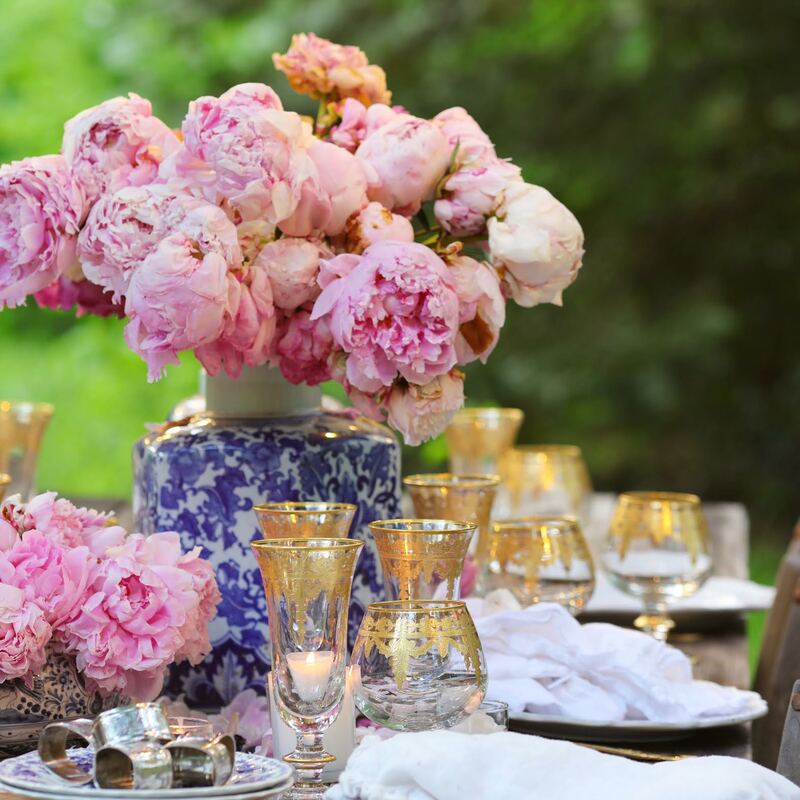 Twinkle lights, blue & white & blush peonies are always a good thing. I worked on a table setting that involved both of these recently and will be sharing on my blog very soon. My husband stopped at Trader Joe's while on his way home from work the other day - and surprised me with a beer box.... full of peonies. 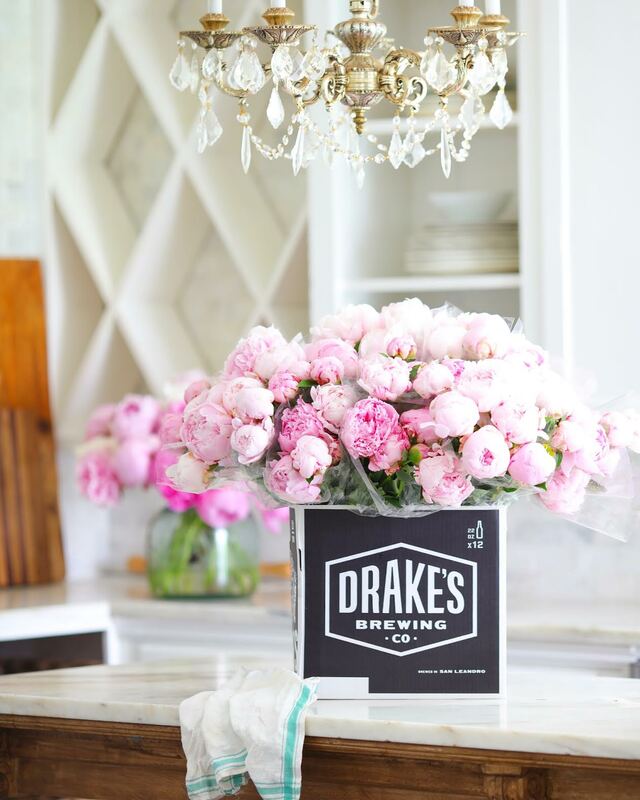 They stacked them up inside the box when he bought them so that they wouldn't fall over- and I kind of liked that whole black and white simple box with the decadent blooms. I might be crazy- but why not. On Thursday evening, while sitting outside and relaxing we heard what we thought might be a bird or a cat screeching. It kept making noise on and off for several hours and by the time we went to bed, we guessed maybe it was a mating call or something else at that point. Through the night, I woke up several times and heard it again. I mentioned it to my husband and we felt like it sounded like something needed help or was lost or possibly stuck somewhere. So my husband got up early and decided to investigate. He found that it was coming from the side and back of our property- which is really just an area we don't use. There is a really old oak tree back there and he thought it sounded like something there. 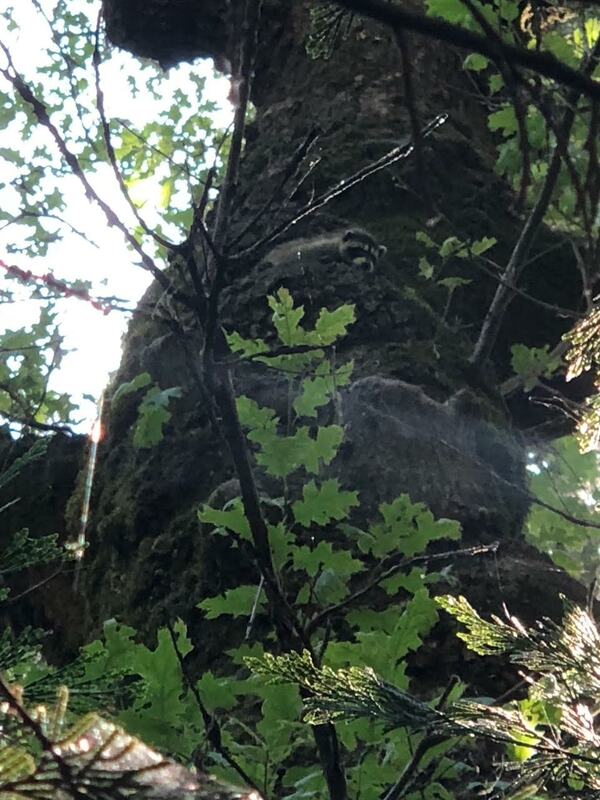 He cut a path through the blackberries to get over to see what it was - and found a teeny tiny baby raccoon crying from about 20 ft up in the tree. He was crying and shaking and looked absolutely exhausted. No mom to be found anywhere and no other siblings either. We called wildlife animal rescue for help- and they came out to help us to get it down so we could take it in to the rehab center. Right before they arrived, he stopped crying and we wondered if he climbed down and was on his way to find his family. But my husband found him on the ground- he was so weak, he fell out of the tree. 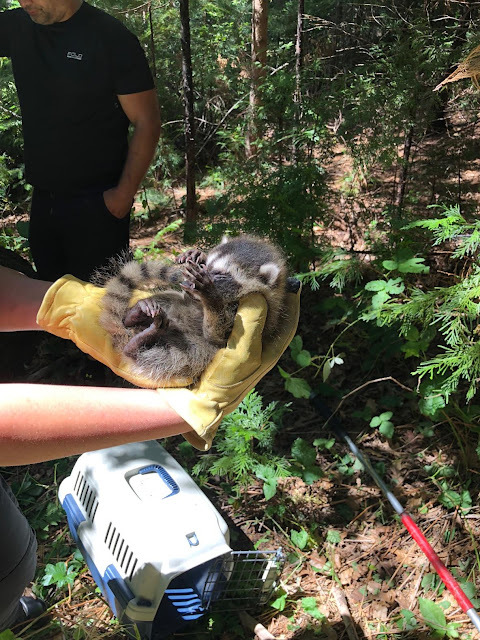 He was alive but very weak and dehydrated and they were hopeful he would be okay when they picked him up and he was a bit feisty for a minute before quieting down. They took him right to the rehab center. I have called several times and have been unable to get through to see how he is doing-they have our number so they may just give us a call to update as well. But we are keeping fingers crossed and hoping he is on the mend and will be back to be released into the wild soon. something that has to do with my book that I need your help with. Thanks for saving the little raccoon. The mom probable told him not to climb the tree, but he needed to find out what would happen if he did. He was just lucky your hubby found him. I hope that isn't the end of the story. Maybe the shelter will let you know how he is doing. Oh ! the flowers are beautiful. What a little cutie that raccoon is! I am full of suspense about the up coming things you will share, always look forward to your new things and how you use them!